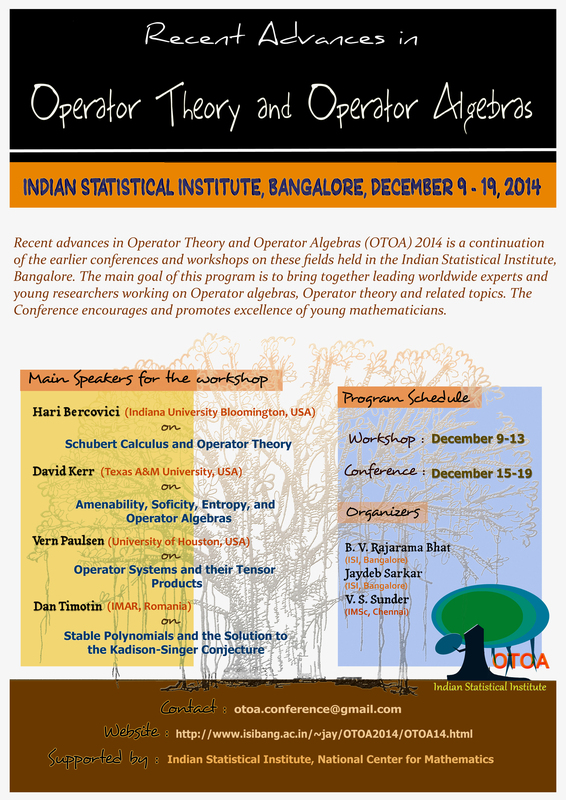 Recent advances in Operator Theory and Operator Algebras- 2014 (OTOA-2014) to be held at Indian Statistical Institute, Bangalore, on December 09-19, 2014. 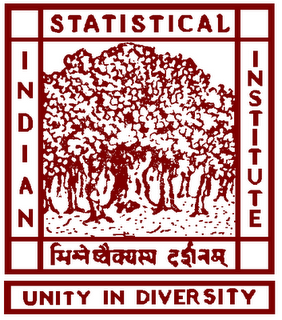 This conference is a continuation of the earlier conferences and workshops on Operator theory and Operator algebras held in Indian Statistical Institute, Bangalore. The main goal of the workshop and the conference is to bring together the leading worldwide experts and young researchers, including postdocs and advanced doctoral students working in operator theory, operator algebra and related topics. The topics of interest include, but are not limited to: Operator algebras, Operator theory, Function theory, Multivariable operator theory, Free probability, Groups and Dynamical system. The meeting will start with a workshop during December 09-13 2014 followed by a conference during December 15-19, 2014. The purpose of the workshop is to bring experts and students as well as researchers together to discuss the most recent developments in certain topics in those areas. The conference aims to provide an opportunity to explore and discuss developments, issues and challenges in the fields of Functional analysis, Operator Algebras, Operator theory and related fields. The Conference encourages and promotes excellence of young mathematicians. December 15, 2014: Lecture notes by Elias Katsoulis. 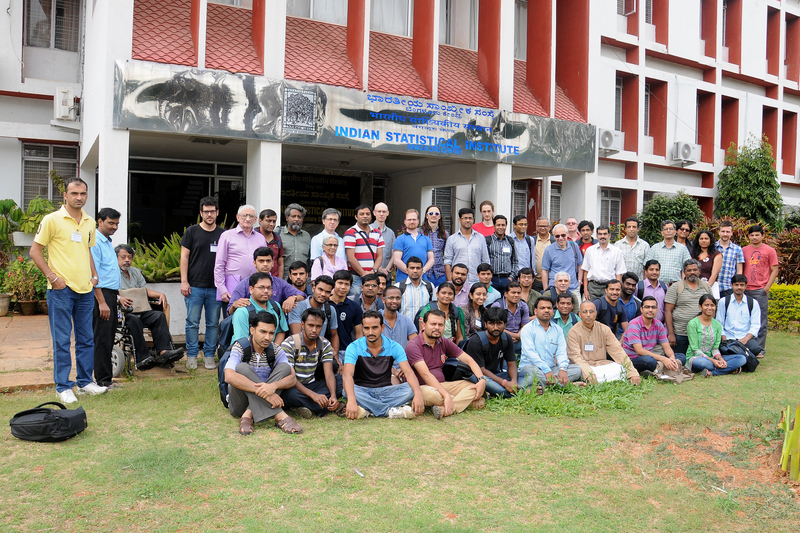 December 15, 2014: Workshop group photo. December 5, 2014: Time pass (/passing time) in Bangalore. Click here and here. 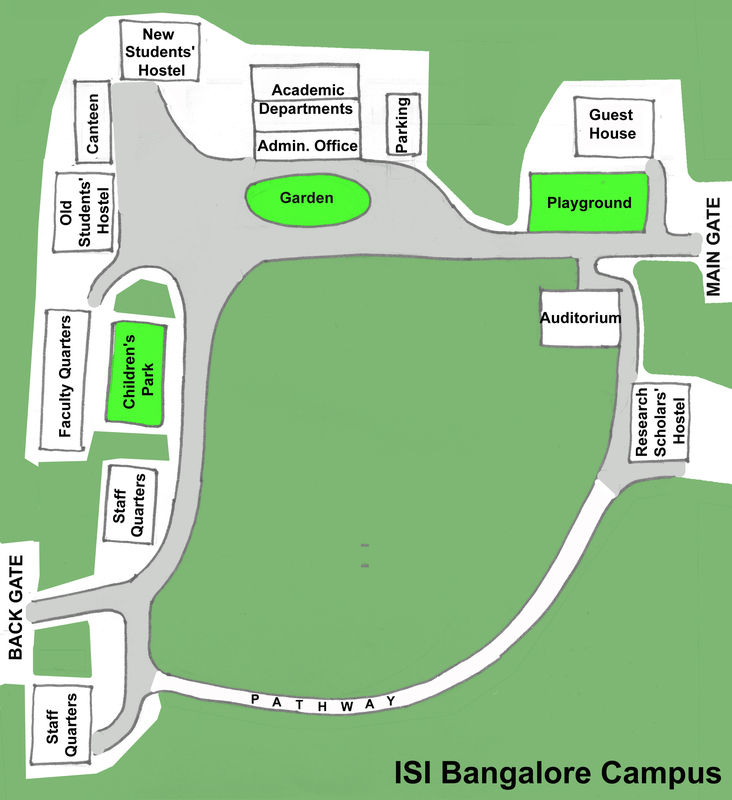 December 5, 2014: ISI Campus Map. December 3, 2014: Dinner and Lunch will be served at ISI (in Platinum Jubilee Auditorium, PJA). See the details here . November 29, 2014: Workshop and Conference Schedule. November 26, 2014: Accommodations For General Participants ; Accommodations For NCM Participants. 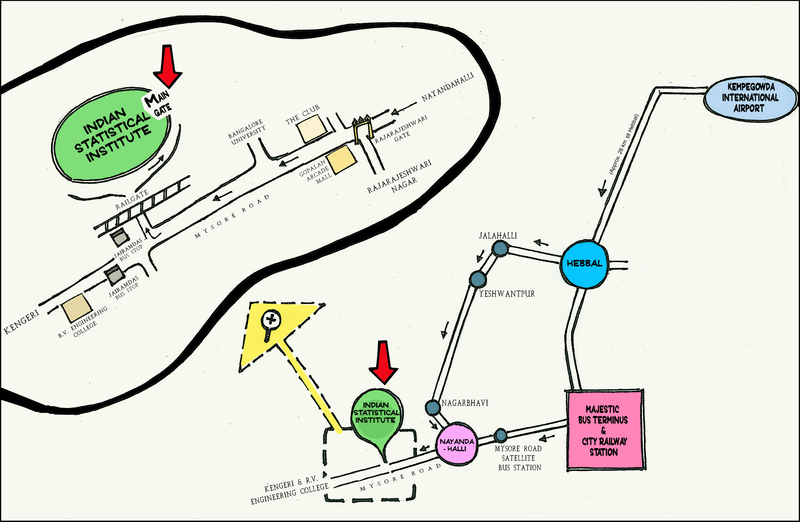 November 15, 2014: Directions to ISI Bangalore (Thanks to Madhusree Basu). October 13, 2014: We regret to announce that due to some personal reasons, Professor Vern Paulsen will not be lecturing in OTOA 2014. Professor Elias Katsoulis has kindly agreed to lecture in place of Vern Paulsen on a different topic. September 27, 2014: The deadline for submitting an abstract is October 31. May 10, 2014: Registration is now open. May 10, 2014: OTOA-2014 Poster (Special Thanks to Madhusree Basu for the poster and the logo of OTOA). Home Ministry notification on conference visas.